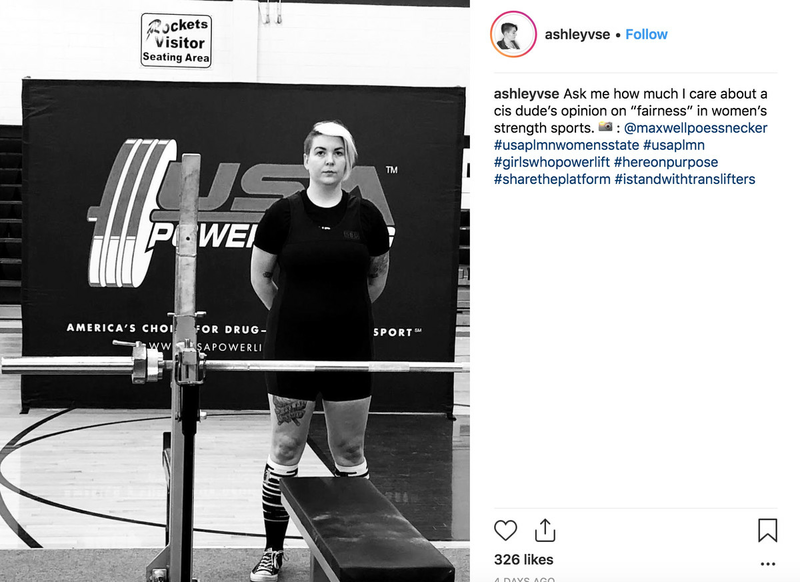 USA Powerlifting, which has come under fire for banning transgender competitors, is tacking on a lot of extra poundage to competitors in the Arnold Sports Festival beginning today in Columbus, Ohio. 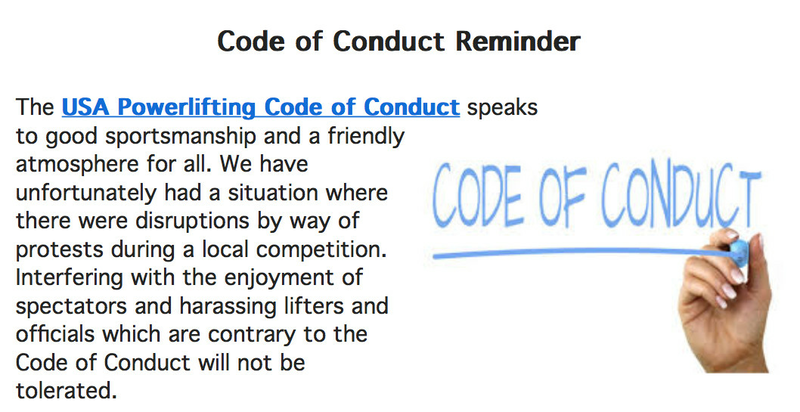 Powerlifters who took part in a protest earlier this month in Minnesota, and shared the newsletter with Outsports, say they know exactly why USAPL is making this threat. Fourteen lifters showed their support for Cooper and other trans athletes by taking the platform and letting time expire. 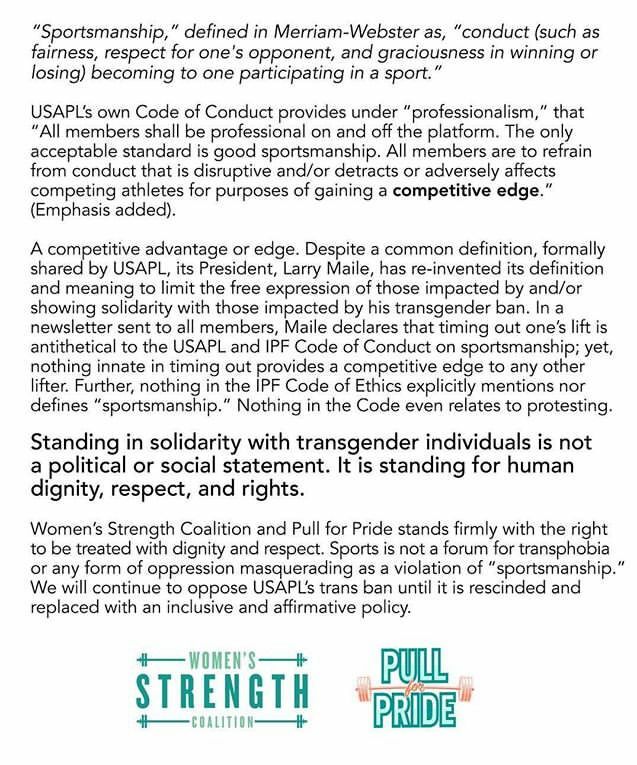 “Male-to-female transgenders [sic] are not allowed to compete as females in our static strength sports as it is a direct competitive advantage,” wrote USAPL Therapeutic Use Exemptions Committee Chair Kristopher Hunt in an email. That’s a red herring, of course, since there are racial disparities in bone density that have not resulted in bans on athletes of color, and the body of every woman on the planet makes testosterone, to varying degrees. The IAAF’s attempt to restrict women athletes with higher than average testosterone, like Caster Semenya, is now being decided by the Court for Arbitration for Sport. 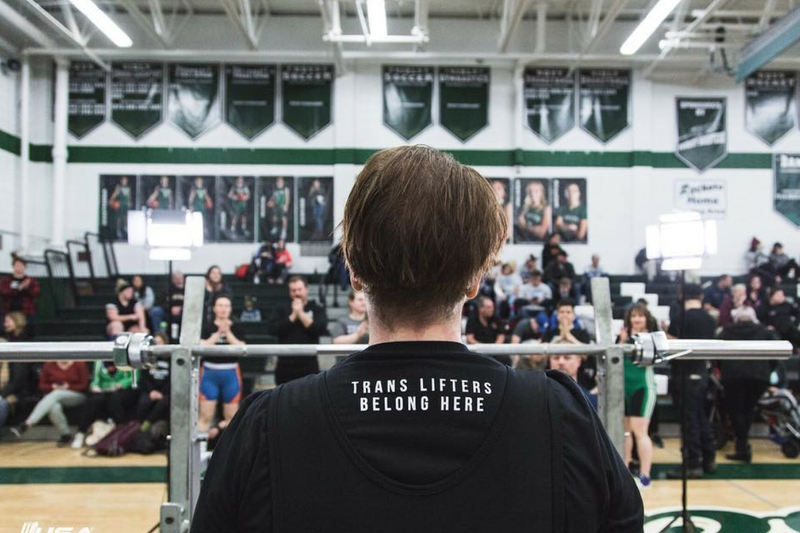 To counter USAPL’s argument for the ban, Cooper notes that the Open Powerlifting website tells the real story of her so-called “biological advantages” over cisgender (not transgender) powerlifters. Cooper said the myth spread by tennis icon Martina Navratilova and those who agree with her that trans athletes are cheaters is an affront to every woman, cis and trans alike. “The idea that I, or any other trans athlete, are somehow cheating is rooted in sexism and transmisogyny,” said Cooper. Cooper and trans cycling champion Rachel McKinnon recently appeared on a Fox News program to make the case for trans participation in sports. McKinnon argued that any perceivable “opportunities lost” are no different than anyone moving from one place to another, and competing in another district. “Participation shouldn’t and can’t be contingent on placing last,” Cooper said. USAPL’s spokesperson did not respond to a request for comment before press time. Gay pro wrestling champ Jake Atlas part of new breed of out LGBTQ wrestlers Jake Atlas is a pro wrestling champ, popular with fans and openly gay. Trans runner hits his stride after years of torment about his identity Jeffrey Rubel grew up alienated from his body. His transformation into his true identity changed his life. Israel Folau fired for again saying gays will go to hell Folau, an Australian rugby player, has a long history of anti-gay rhetoric. He has two days to respond to the decision. This Article has a component height of 42. The sidebar size is long.